The Ajax TOCCO Monoforge design integrates the entire induction system, including the water cooling system, onto a common base for a quick, efficient installation that conserves floor space. 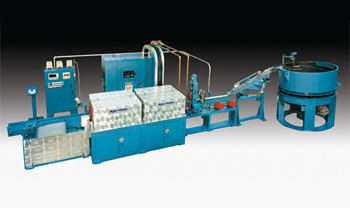 Coil Shuttles improve productivity by providing for two sets of coils for two different part ranges. Each coil set shuttles into position with the touch of a button. 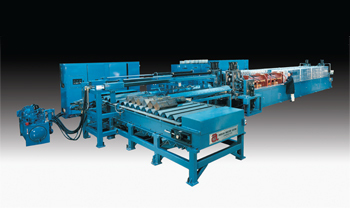 This is an example of a total forge heating system that Ajax TOCCO manufactures. The power system, coils, bowl feeder, roll infeed conveyor, exit conveyor, and controls are all designed and built by Ajax TOCCO. 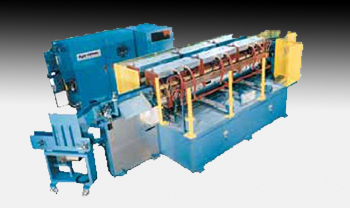 Large billets are conveyed through coils by a hydraulic pusher mechanism. 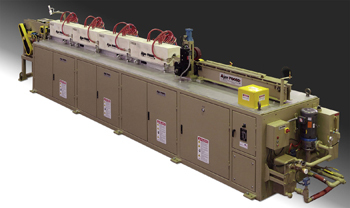 The pusher indexes billets through the coil line with less floor space than skewed rolls.